I'm beginning to feel as if I am painting with plastic. I guess it's like any material, you get to know it and you can use it as your handwriting. Yesterday we took the train back from Exeter. 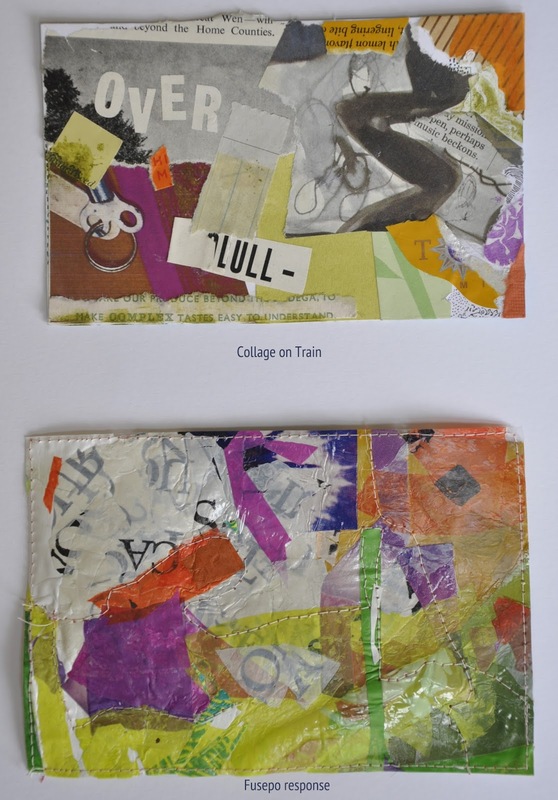 I had my little zipper bag of mail art materials and on the second train we had a table to ourselves so I collaged. Last night between activities I spent a bit of time in the studio with my iron and some of the plastic I foudn in Exeter. I wanted to capture the (poetry) the colour and feeling of the collage in fused plastic: FUSEPO.